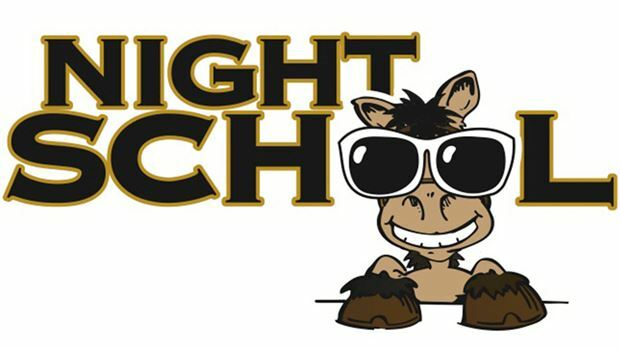 Night School, the racing industry’s national online fan education program, readies horseplayers for Spring this Tuesday with an in-depth discussion on “Turf and Synthetic Surface Handicapping.” The 90-minute lesson breaks from the gate at 8:30 p.m. ET and will feature two of the rising star analysts in horse racing, Katie Gensler of Keeneland and Dawn Lupul of Woodbine. Both Keeneland (April 4) and Woodbine (April 12) are set to open their racing seasons in the coming days, and both tracks are highly prominent in this week’s topic. Keeneland and Woodbine feature world-class turf racing and synthetic surface action on the Polytrack. Gensler, who also has served as racing analyst at Fair Grounds and Presque Isle Downs, and Lupul, who doubles as racing analyst at sister track Mohawk, will offer handicapping tips, winning angles and their experiences around the racetrack. This week’s study materials for the lesson includes links to past Night School lessons on the topic, featuring trainers like Richard Mandella, Graham Motion and Chris Block, and handicappers such as Jeff Siegel of HRTV. The study materials also include a special statistical review of leading turf and synthetic sires, courtesy of Bloodhorse.com. Week 5 of the 40-week Night School season once again will be a multimedia presentation that features live audio streaming and interactive chat amongst the students. Gensler and Lupul will join Horse Player NOW hosts Jeremy Plonk, Caton Bredar and renowned radio personality Steve Byk. The lesson will feature live-streamed audio among the guest panelists and fans can participate by calling into the show or asking questions directly through the live chat interface that accompanies the Night School program each week. Fans of Night School also will be treated to a brand-new, free, online digital publication this week as Horse Player NOW Magazine launches Tuesday, April 1, featuring content exclusive to the national online fan education program. Presenting title sponsors for Night School 2014 are the National Thoroughbred Racing Association, American Quarter Horse Association, Keeneland Select, Twinspires.com, The Stronach Group, Mountaineer Casino, Racetrack and Resort, and Betamerica.com. Students who wish to attend Night School can do so by logging on to any one of more than 40 websites throughout the racing industry that simulcasts the weekly online tutorials. There is no advance registration or sign-up required. This year’s lessons include live audio streaming of the expert panelists and hosts, making it easier for participants to follow. Fans can participate in a live online chat and pose their questions to the hosts and guests in real time. Night School also is simulcast with “At the Races with Steve Byk” on SiriusXM. Night School attendees can listen to the free live audio stream directly linked through the Night School chat box (no subscriptions needed). Fan also can take part in the live call-in show at 1-866-454-6848. Those wishing to listen in on the radio can find the program from 8:30-10 p.m. (ET) on Sirius 93, XM 209 or at Sports Zone 961 for Sirius Online users. Check SiriusXM listings for any potential live sporting conflicts. For those who cannot attend live, the Night School archives always are available free, immediately following the session and beyond. Simply go into the Night School chat box at any of the 40-plus sites and get access to the archived links once the completed session has been re-opened. Night School is offered every Tuesday for 40 consecutive weeks through Dec. 2. Fans are eligible for prizes and rewards for registering. Registration is optional and free. There is never a charge for taking part in Night School. This week’s Night School will be followed at 10:00 p.m. (ET) by the “After Night School Special,” featuring live racing from Mountaineer Park. The segment will cover the evening’s final race in real time with free, live-streaming video. Fans wishing to take part in the Mountaineer action simply need to remain in the Night School chat after class. Complimentary past performances are available, courtesy of BRIS, the official past performance provider to Night School. Later this week, the “Night School Friday Night Live” real-time racing analysis featuring Remington Park also is offered, beginning at 6:30 p.m. ET and running the entire program.